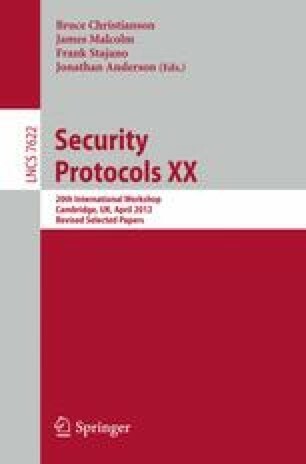 Many security scenarios involve both network and cryptographic protocols and the interactions of different human participants in a real-world environment. Modelling these scenarios is complex, in part due to the imprecision and under-specification of the tasks and properties involved. We present work-in-progress on a domain-specific modelling approach for such scenarios; the approach is intended to support coarse-grained state exploration, and incorporates a classification of elements complementary to computer protocols, such as the creation, personalisation, modification and transport of identity tokens. We propose the construction of a domain-specific language for capturing these elements, which will in turn support domain-specific analyses related to the reliability and modifiability of said scenarios.